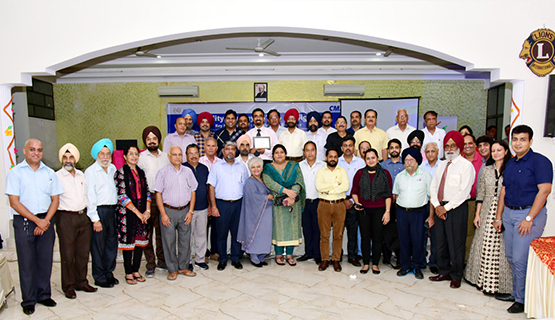 Chandigarh Management Association (CMA) was created in 1966 as an apex body of professional management and is affiliated to All India Management Association (AIMA). CMA is a non-lobbying organisation, working closely with industry, Government, academia and students to further the cause of the management profession in and around Chandigarh. CMA makes a salutary contribution to management learning and practice. We also bring to our members, the best management practices and techniques through events & conferences, research, publications and management development programs and also by collaborating with professional bodies and institutions. Everything we do at the CMA is designed to promote the professional management. CMA always strives to raise the bar with every passing year and value their members by taking initiatives in specific areas. The platform of CMA creates a synergy by offering you an opportunity to attend programs at different venues, for networking and allows you to connect with your peers and exchange best practices to further fine tune your professional skills. We envision partnership of professionals and corporates inspiring technological and research based management practices to create a platform of excellence. To foster persistent improvement in management practices for our stakeholders.